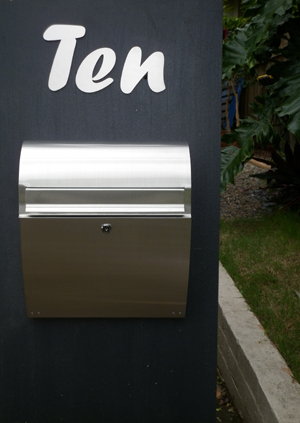 Shop with Confidence, warranty & fitting instructions : Letter Box King, Best value letter boxes and lettering! 7 Day Return Guarantee on letters & numbers, real postage cost to be paid by customer. All orders are shipped next business day, stock permitting, via Australia Post or Courier for a flat fee of $11.00. When using Internet banking your bank ensures that your transaction is safe and your bank never discloses any of your banking details to us, for this reason please include the order number into your payment details to ensure we can ship your order ASAP. 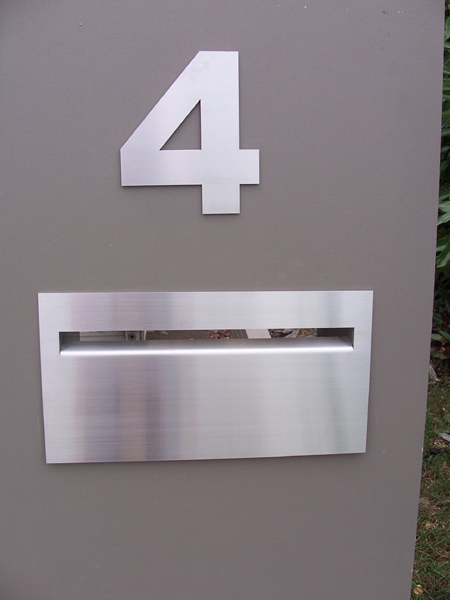 We are very proud of the quality of our products and back this with a 12 months structural warranty on all letterboxes and letters. Tea staining is not covered by warranty. In coastal areas small rust spots can appear on the brushed s/s, it's called tea staining. Tea staining can be removed with most s/s cleaners or might be avoided using Nano Coat 2 in 1. Marine grade 316 s/s is more resistant to Tea staining but the stainless steel product still has to be cleaned to avoid it. 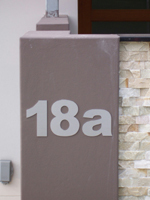 All letters and numbers can be glued to most surfaces with silicone neutral crue or sikaflex both from the hardware store. It's your choice on how to fit them, on request we supply them with fixing- holes. We do not share your phone number, email address, postal address or any other private information you might supply to us with any other company or third person. We do not collect any credit card information when you pay online whatsoever since all credit card processing is performed on the secure servers of PayPal.